Google Most Searched Questions about Varun Tej: The Fans will be very much interested to know about their favourite heroes. Thanks to the internet, it has become easy for them to search and know more about their stars. Ahead of the release of his upcoming film Tholi Prema, Pinkvilla caught up with actor Varun Tej and posed questions which are most searched about him on Google. 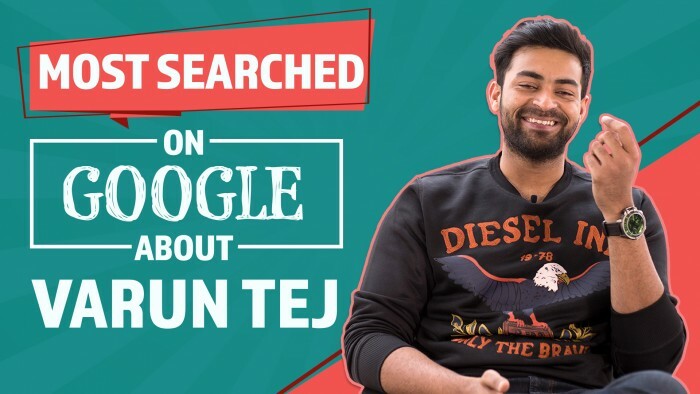 Actor Varun Tej answered those questions which are most searched for about him on Google. No words twisted, Varun Tej answered all the questions unabashed. Speaking about his nickname, Varun Tej stated that everyone calls him with different names but his father Nagababu will call him ‘Yedava'(idiot). This mega Hero also responded about his first love and admitted that he has never experienced such things. He also added that he is not dating anyone right now and do not have intentions of getting married anytime soon. This Kanche actor has given a variety answer about the remuneration. He commented that revealing about remuneration will get Income Tax problems for him but said that he won’t take the same amount for all movies and the remuneration will be based on the story, director etc. Mega Prince Varun Tej confessed that he will get hefty paychecks for commercial movies. Interestingly, he revealed that he is taller than Prabhas and his height is 6 feet 4 inches. The post Google Most Searched Questions about Varun Tej appeared first on SouthColors.